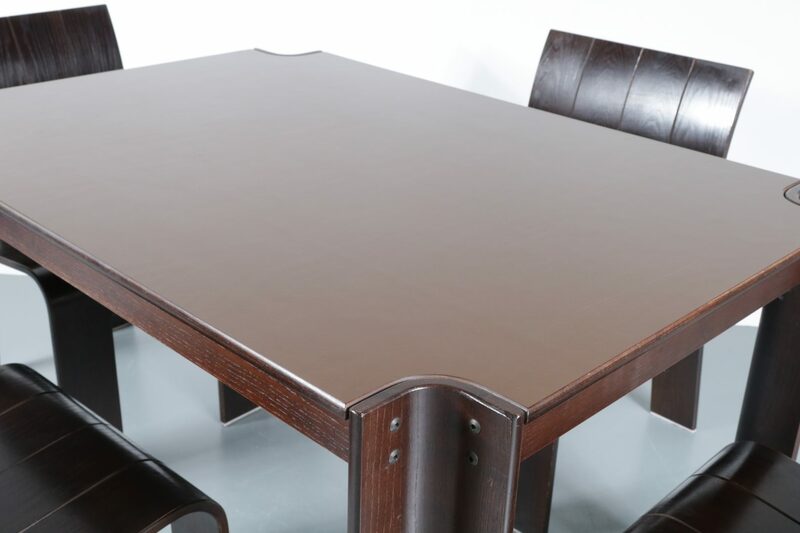 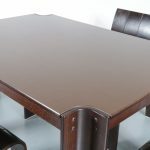 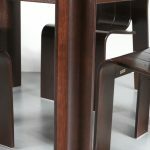 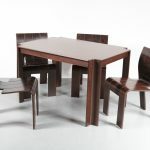 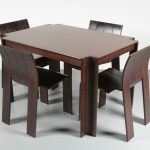 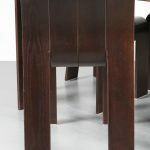 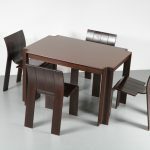 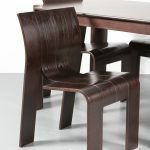 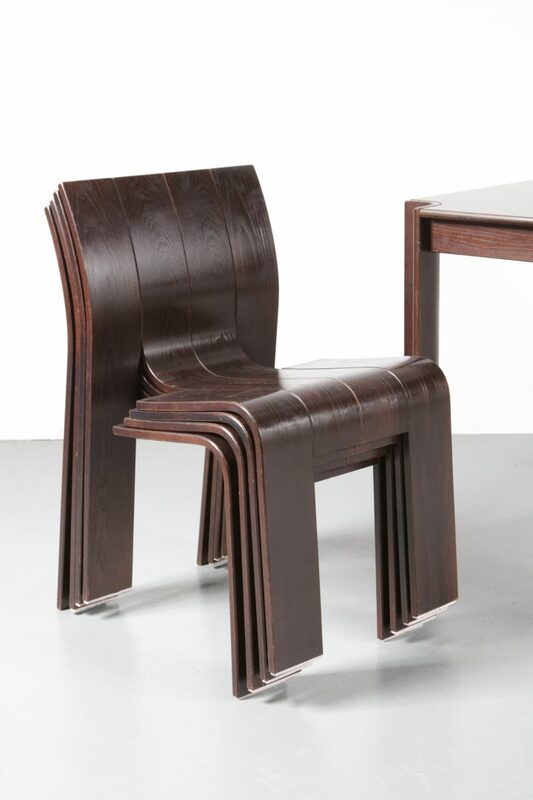 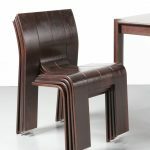 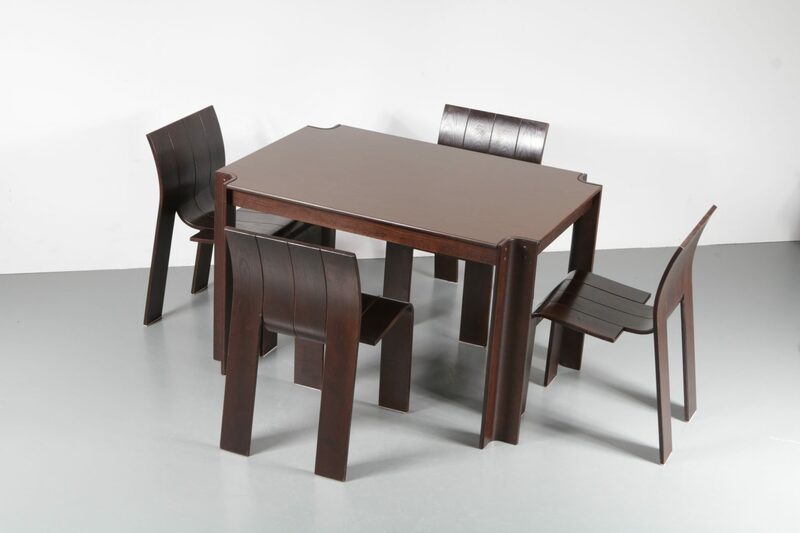 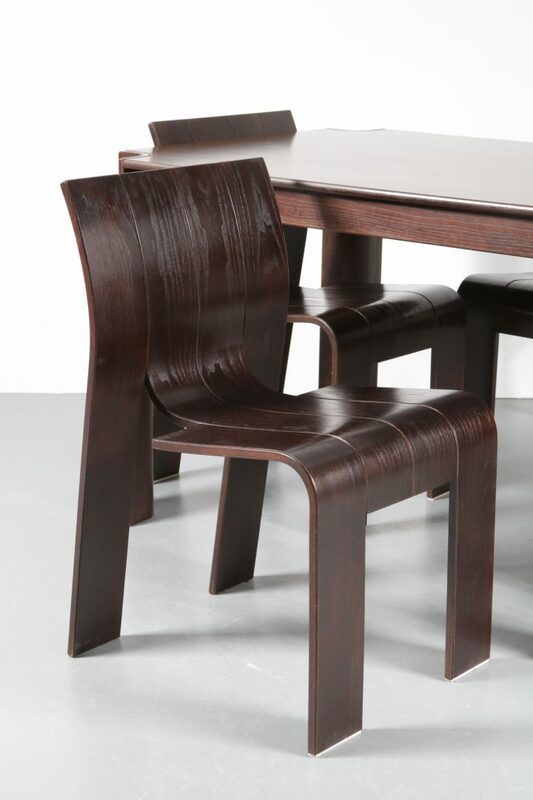 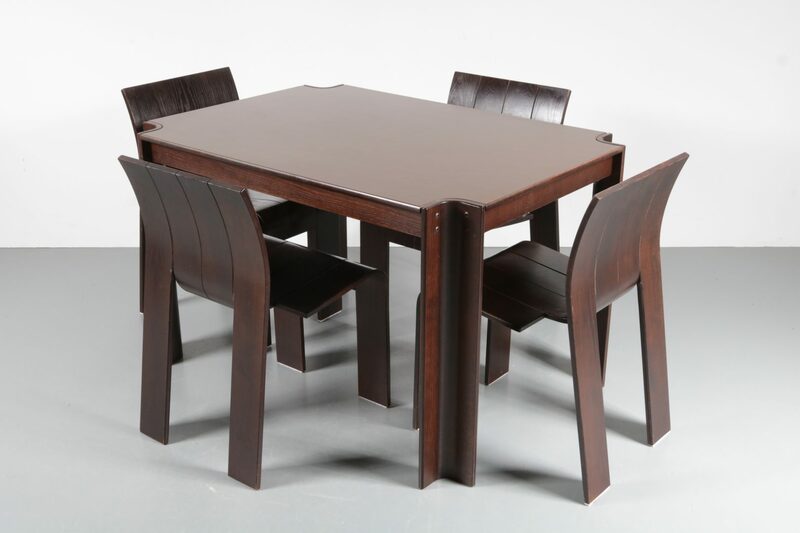 An eye-catching set of four stackable “Strip” dining chairs with a matching table. 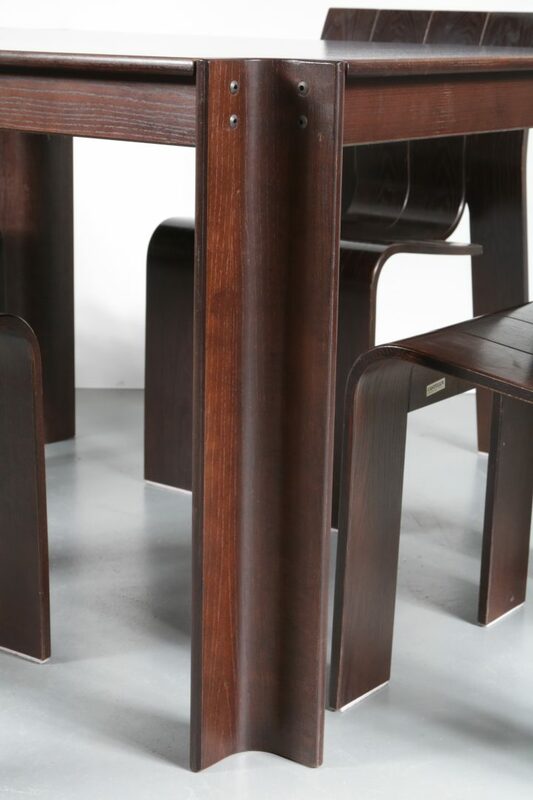 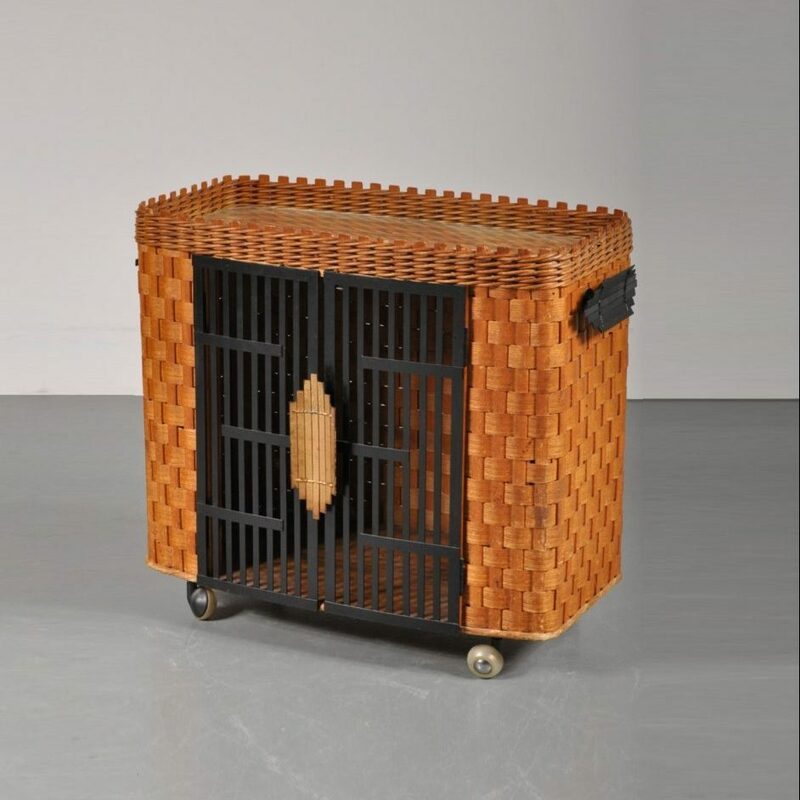 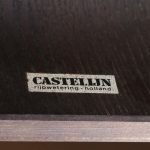 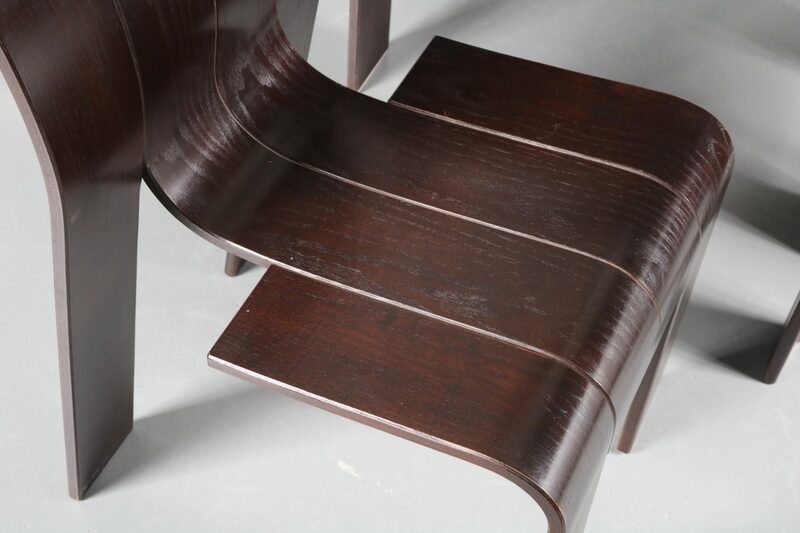 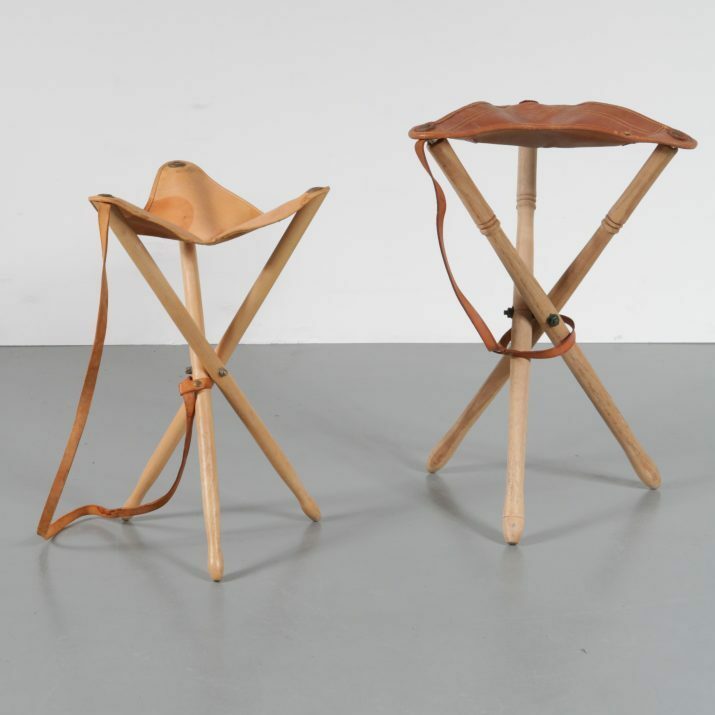 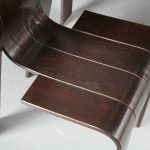 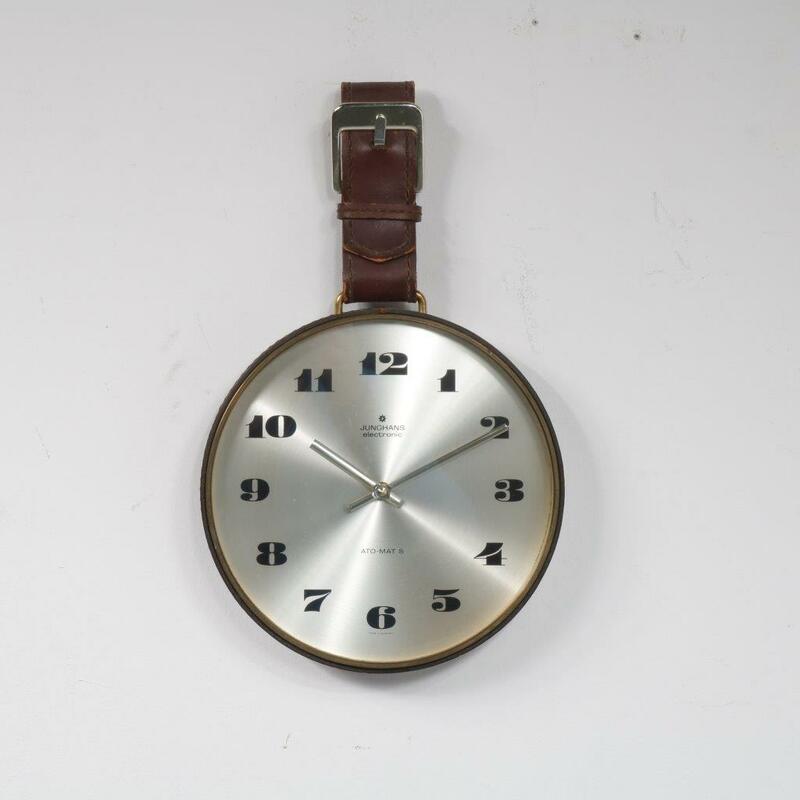 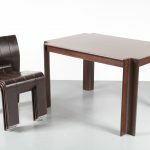 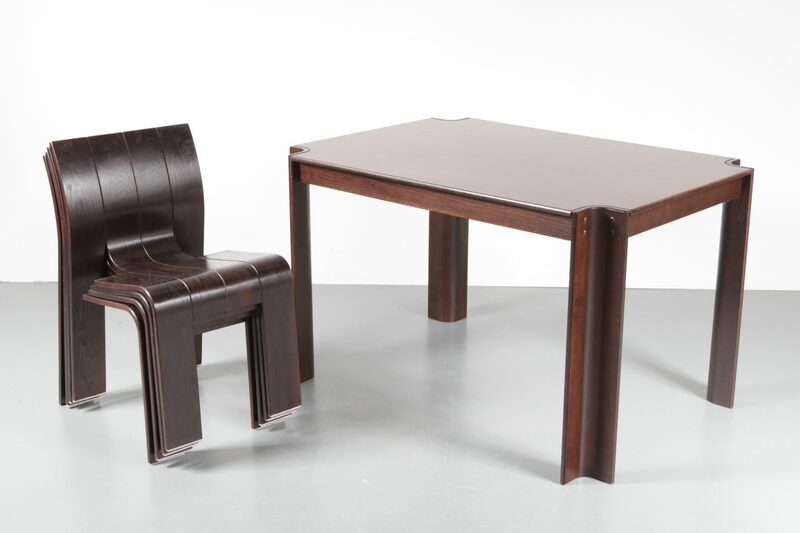 This unique design by Dutch designer Gijs Bakker is completely made of high quality dark brown bentwood. 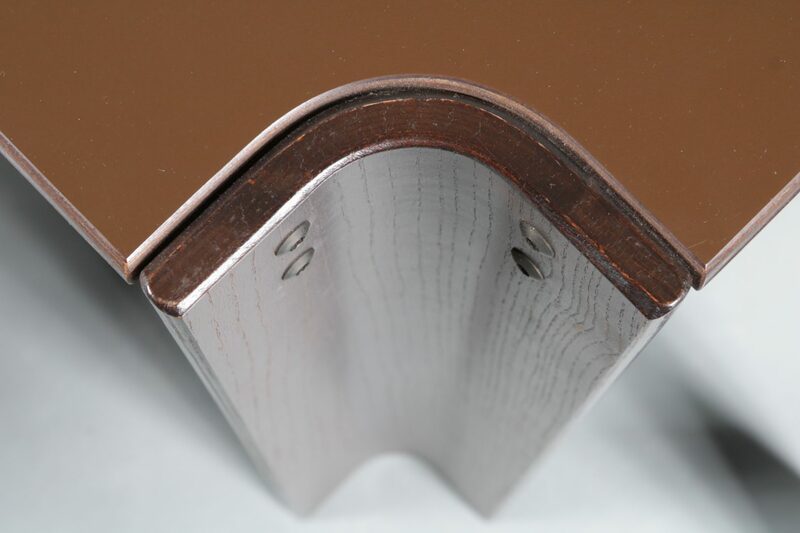 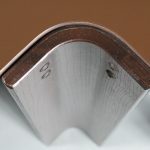 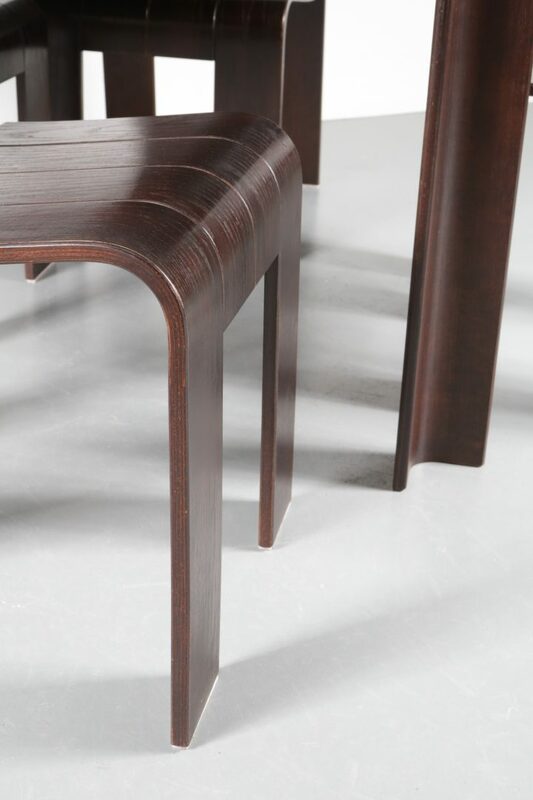 No complicated structures, but a smooth design from one material. 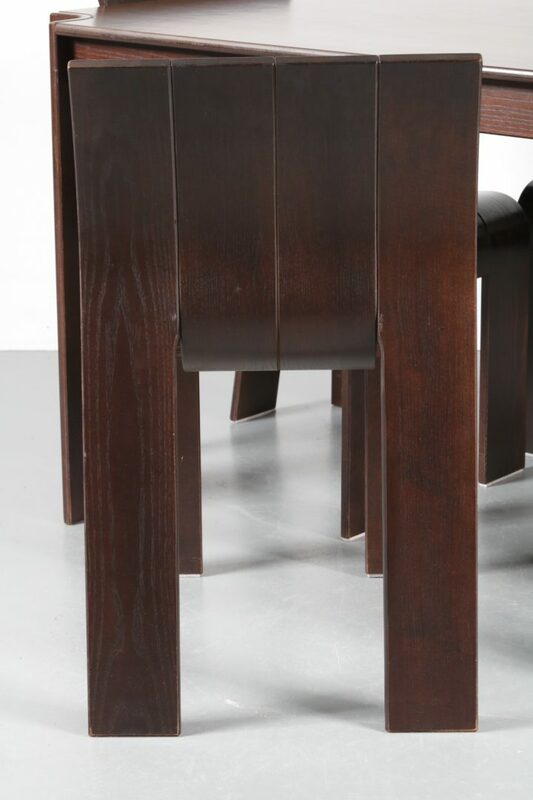 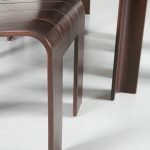 The legs of the table have a unique bent shape that makes it fit perfectly with the chairs. 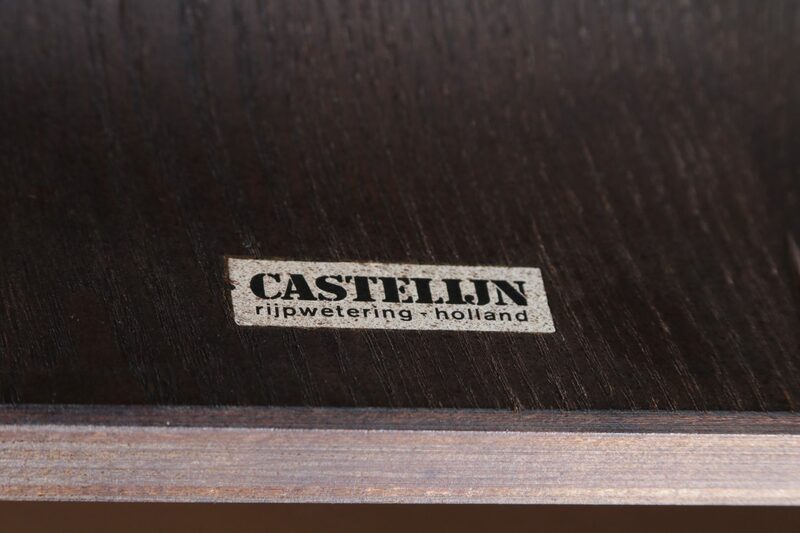 Typical smart design from the lowlands! 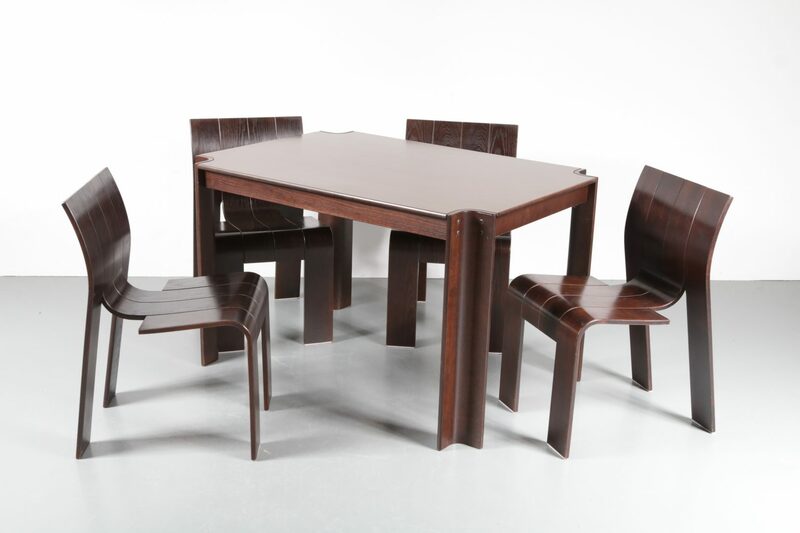 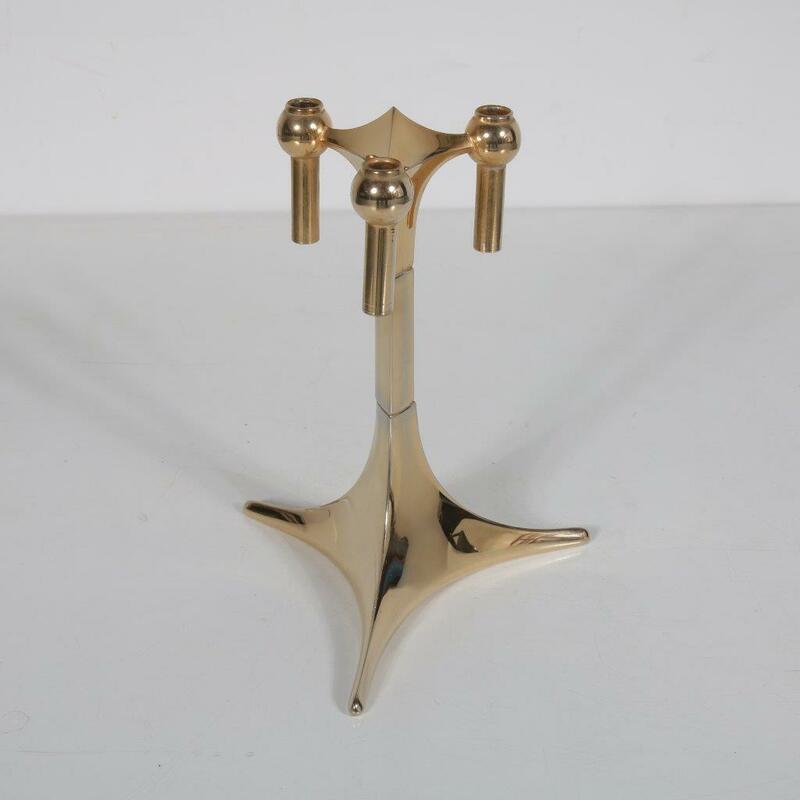 This midcentury set would truly draw the attention in any interior!